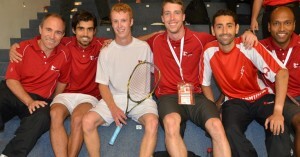 Two years after an ankle injury against the German number one caused Nick Matthew to pull out of the WSF Men’s World Team Squash Championship – and his team to finish an all-time low fourth – the Yorkshireman avenged his loss to Simon Rosner in the second qualifying round of the 2011 championship in Paderborn to lead favourites England to victory over hosts Germany. 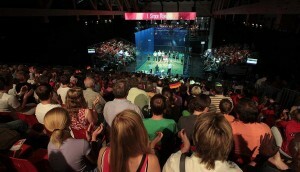 The tie was played out on a spectacular new, more TV-friendly, blue all-glass showcourt at the city’s Ahorn-Sportpark – surrounded on all four sides by a sell-out crowd of 1,000, 99% of whom were cheering every single winning shot by the German side. Top strings Matthew and Rosner opened the proceedings – and, despite having three game-balls in the opener, the English world number one went down 13-11 to Rosner, much to the ecstatic delight of the crowd. Rosner, ranked a career-high 30 in the world, continued to battle on – but Matthew soon gained the upper hand before closing out the match 11-13, 11-7, 11-5, 11-8. “I had goose pimples walking onto court – it was like a World Open final,” said Matthew after his 76-minute win – his second longest match in five world team championships’ appearances since 2003. “The crowd was fantastic. 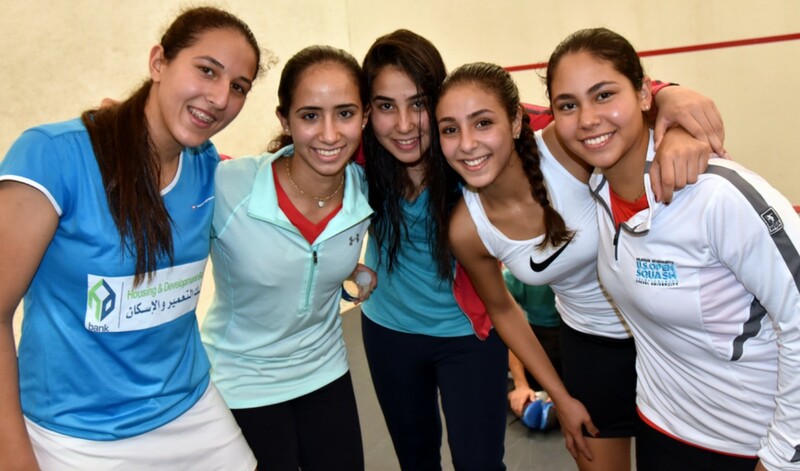 I’ve played squash all around the world for many years now and think it’s probably the best crowd I’ve ever played in front of,” added the 31-year-old from Sheffield. Rosner, enjoying the dream of leading his country in a world championship in his own home club, was equally overcome by the atmosphere: “The crowd were unbelievable. I tried my best, but he is the number one player in the world. James Willstrop, the world No4 from Leeds, clinched England’s second win in two days with an 11-5, 11-5, 11-6 win overRaphael Kandra, the German No3, before Londoner Peter Barker made it a clean sweep by defeating Andre Haschker 11-6, 11-6, 11-5. 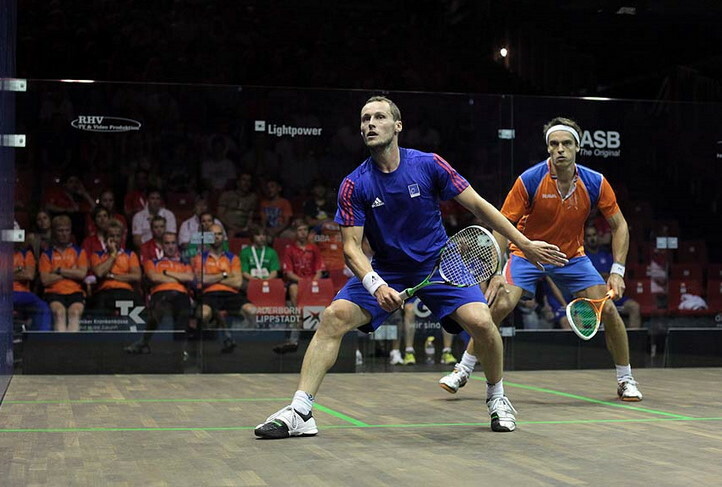 Third seeds France, runners-up in the 2009 championship in Denmark, triumphed on the all-glass showcourt earlier in the day, beating 14th seeds Netherlands 3/0. 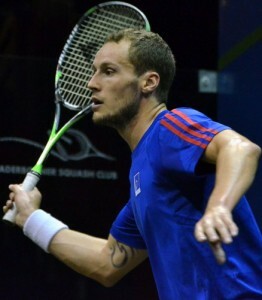 Gregory Gaultier, the world No6 from Aix-en-Provence, put France ahead with an 11-3, 11-6, 11-2 defeat of six-time Dutch champion Laurens Jan Anjema before 35-year-old French stalwart Thierry Lincou sealed victory after beatingPiedro Schweertman 11-5, 11-5, 11-4. In his maiden world team championship match for his country, Mathieu Castagnet defeated Bart Ravelli 11-8, 11-8, 11-5 to give France maximum points. Lincou, who achieved a notable milestone this month when he completed 10 full years in the world’s top ten, was delighted to be back at the venue of one of his earliest squash successes: “I was here 21 years ago. I was 14 years old and playing No3 for France. I won all my games and was named player of the day! French number one Gaultier was overwhelmed by the new court: “It’s the first time I have played on a court this colour – and it’s even better. You can see the ball really well and there’s much more support on the floor, which is even better for our legs and knees. “It’s the best court I have ever played on, by far. ASB do great work on thinking about the future, with new inventions. 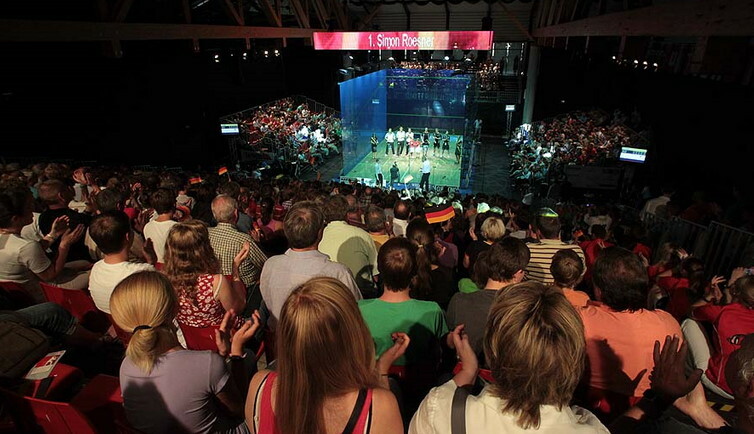 With all the lights around the court, it makes it very special – I have never seen anything like this before – it’s great for the presentation of squash. It’s these small details that make such a difference. Canada rookie Andrew Schnell averted a significant upset when he battled back from 2/0 and 6/2 down to beat more experienced Erik Tepos Valtierra 6-11, 6-11, 11-8, 11-3, 11-7 as sixth seeds Canada fought off Mexico, the No10 seeds, 2/1. Underdogs Mexico took an early lead when Cesar Salazar, a 23-year-old from San Luis Potosi who is leading the squad in the absence of his injured twin brother Arturo Salazar, beat higher-ranked Canadian campaigner Shahier Razik in straight games. Shawn Delierre restored order for the sixth seeds by beating former Mexican number one Eric Galvez 4-11, 11-9, 11-5, 11-4 – before Valtierra stormed to a commanding lead over 19-year-old Canadian senior international debutante Schnell. “It’s definitely right up there,” replied a jubilant Schnell when asked if that was the biggest win of his life. “Coming back from two games down was special – and especially to do it for Canada. 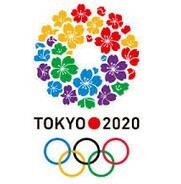 I’m so proud to do it for my country. “I finally did what my coaches told me to do – be patient,” explained the Calgary-based teenager who had also clinched the decider only 24 hours earlier against Scotland. “After yesterday, I knew I could win a decider – and that took the pressure off. But the key thing was patience. Canadian national coach Yvon Provencal was hugely impressed with his new squad member: “The kid’s a good learner – he’s willing to learn and in the last year his game has improved enormously.